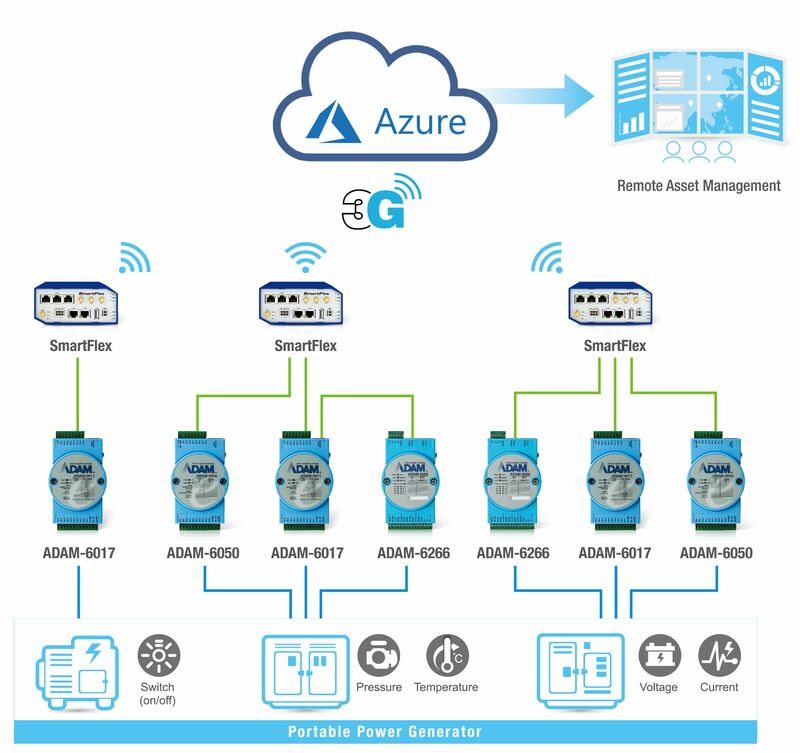 Using ADAM-6000 series remote I/O modules, Advantech has developed a compact device-to-cloud cloud IoT system that is compatible with Microsoft Azure Cloud Services. This system can aid power generator maintenance service suppliers with installing remote management systems. Real-time generator status can be monitored for predictive maintenance and instant debugging can be performed to prevent serious breakdowns. High-value, zero-tolerance equipment operation and maintenance service can thus be realized. 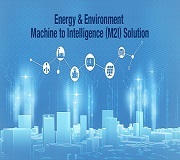 Development of smart edge sensing devices has made it possible for increasingly more conventional equipment to be applied in IoT applications through the concise structure of device-to-cloud systems, thus enabling companies to remotely control widely distributed key equipment. For power generators, as an example, many maintenance or rental service suppliers have units installed in such locations as factories, bus/train stations, airports, banks, hospitals, and office buildings. In the after-sales service of such equipment, the conventional routine patrol method is often adopted, which requires the vendor to spend large labor costs to maintain generator units over a wide area. In the event of an error that cannot be resolved in time, equipment can suffer substantial damage. Once the optimal maintenance time has passed, a complete breakdown has occurred by the time the problem is addressed, and the high maintenance fee and losses due to downtime invariably results in low customer satisfaction. Therefore, by remotely monitoring the operational status of each generator via a cloud management system, suppliers can respond immediately in should an anomaly occur, thus having the means to boost their clients’ confidence in their vendor’s products and services. For such wide-area remote management applications, the key points of consideration for installing a system are compliance and data connection methods. Typically, a gateway is installed beside the generator as a relay station for data collection, and programs are written for data conversion, encryption, and validation, after which data are transmitted to the management system. This solution has a complex system architecture that not only increases the installation cost per data collection point but also introduces a considerable amount of maintenance work for the supplier. 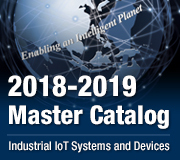 To simplify the device-to-cloud system architecture, Advantech offers the ADAM-6000 series solution that integrates an industrial Ethernet I/O module and a 3G cellular router. This system is easy to install and maintain while providing ample options for future expansion system; moreover, it requires neither a relay station nor programming, making it substantially easier for users to install a remote asset management system. A German power generator supplier who provides generator, emergency power supply device, and diesel engine equipment and maintenance services is renowned for its high service standards. This reputation is largely due to its consideration that supplying continuous power is a zero tolerance task. Accordingly, it has long provided a 24-hour after-sales service hotline to address customer problems any time. With the development of IoT technology, status monitoring and preventive maintenance applications have been trending upward in recent years and are in line with the company’s commitment to serving its customers. Thus, the company decided to utilize this concept and introduce a remote asset management system for the widely dispersed power generator units it has sold. However, the company does not employ developers specializing in IoT technology. To avoid the need for software development and minimize the cost of both hardware installation and subsequent maintenance, the company sought to adopt Microsoft Azure Cloud Services as its management platform; also, they planned to install a docking system at the device end in order to add device-to-cloud equipment management capability. To simplify system installation, maintenance, and expansion, the required power generator docking system had to have a compact structure. Additionally, base-layer equipment had to be designed to be able collect various generator signals for real-time monitoring, to provide control features for immediate reporting, and implement emergency procedures when an anomalous situation occurs. In addition, since power generators are generally widely distributed, all uploading and downloading of data must be transmitted via a 3G wireless network. For this project, Advantech utilized three industrial Ethernet remote I/O modules, namely the ADAM-6017, ADAM-6050, and ADAM-6266, as well as a SmartFlex 3G/4G cellular router. All products were installed in a case beside the generator unit. The ADAM-6017 was utilized to collect temperature and power signals from the generator unit; the ADAM-6050 was employed to control on-site switch signals and warning lights; and the ADAM-6266 was adopted to trigger the motor’s emergency switch. Following data encryption, conversion, and processing by the microcontroller unit in the ADAM modules, power generator status data were transmitted via the 3G router to Microsoft’s Azure Cloud Service, which is compatible with the ADAM modules, and data could then be visualized in real time through the Power BI visualization tool powered by Azure. This output could then be applied for condition monitoring and preventive maintenance. 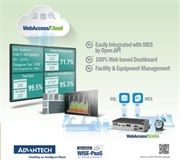 Since Advantech’s ADAM-6000 series support various communications protocols, no additional procurement of a PC as a gateway is required, nor is does data conversion software need to be developed in order to achieve seamless integration with Microsoft Azure or other public cloud services. Concerning transmission security, ADAM-6000 series modules support data encryption, after which all data are uploaded to the cloud platform for analysis and remote asset management via HTTPS. This series of modules also comes with Graphic Condition Logic (GCL), which circumvents the needs for software development. 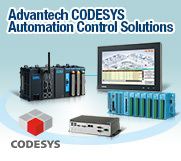 This allows users to determine the logic rules by using Advantech’s Adam/Apax .NET Utility, and they can then simply download the output to the designated module for it to act as a controller, automatically implementing the preset logic action. As an example for the current project, in the event of an anomalous data event, a warning is immediately sounded and the system can directly control the power generator motor and stop the motor to prevent overheating, which would otherwise cause a coil or wire burnout or some hazardous incident such as a fire. All three ADAM-6000 series modules are compact and thus optimal for flexible on-site arrangement and expansion. For example, ADAM-6266 modules were deployed with a daisy chain with auto-bypass protection, which reduced the wiring costs and eliminated the need for additional switches. Thus, when multiple ADAM modules are required, nearby modules can simply be connected as a daisy chain topology, sharing a router and cutting down on unnecessary hardware costs. Should one of the modules experience power failure or breakdown, the auto-bypass protection will prevent interruption of the entire chain. 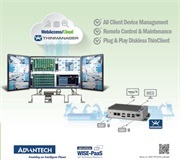 Advantech’s ADAM solution can easily be utilized to connect with third-party public clouds and in real time continuously monitor and control a high number of widely distributed equipment. Direct connection of encrypted data to the cloud platform also protected critical user data. GCL offers simple logic processing, allowing the modules to achieve direct control of equipment features. Moreover, the compact size of the products and daisy chain connection ability allowed for flexible and simplified wiring arrangements. Advantech’s ADAM solution helped this supplier complete its remote monitoring management system quickly and saved them a substantial amount on software and hardware costs. Convenient and innovative applications of increasingly more ubiquitous IoT equipment are changing conventional practices in many industries. However, to simplify the compliance of device-to-cloud data connection, reduce system installation costs, and shorten system implementation times, choosing a compact device-to-cloud structure that can connect with public cloud services is key to ensuring efficient remote management of critical equipment such as power generators, water pumps, air conditioner units, and elevators.